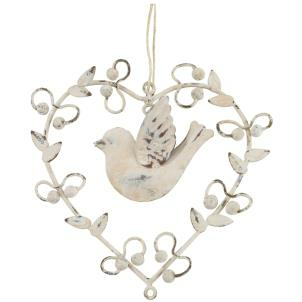 This beautiful heart hanging decoration looks beautiful in any home. It is cream in colour and made with metal with a distressed shabby chic look. A lovely anniversary or wedding gift! Dimensions (cm) (HxWxD) - 9.5x9.5x3.